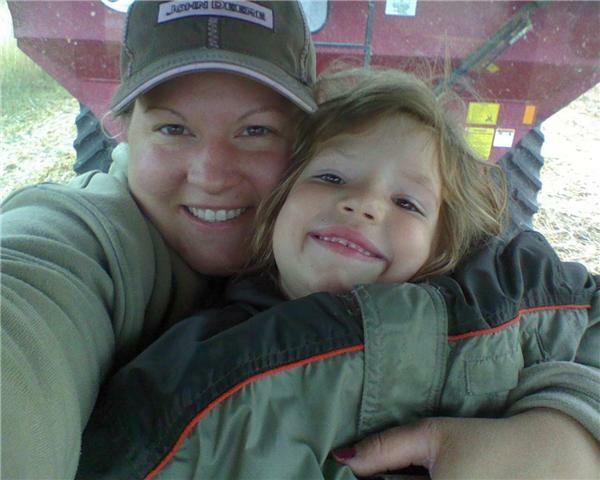 I went from a city girl to a farm wife the day I said ‘I do’ to my husband 12 years ago. Boy I sure didn’t know what I was getting into, but I didn’t care. I just knew that when Terry asked me to marry him I wanted to be the best farm wife I could be! Having grown up in town I had no knowledge of anything, what so ever! Well except a riding lawn mower, but that doesn’t count. So this was a whole new life for me! Where to stand when trying to get a cow to go a certain way, makes all the difference in the world! When moving cows from one pasture to another, you need to count them in case they didn’t all come. You will need to go find the renegade cows and calves and drive them towards the pasture they are being moved too. And with LOTS of prayers, a little luck, and 2 canine companions that will cooperate, cows will move in the right direction. With irrigating early in the morning and late into the evening, supper will be late. And unless the Schwan’s truck stops by with quick microwavable food, supper might be really late! There are times I would love to have some sort of fast food drive thru or even have pizza delivery! In town if something was forgotten it was always easy to have someone go to the store and pick up the missing item needed to complete the meal. I learned after a couple of round trips to the grocery store, 15 miles away, that a list was a must! I learned to plan out my meals and make a list of what groceries I need for the week, because a 30 minute round trip to town for one missing item makes for an expensive meal! I had little experience from college on driving a tractor so Terry taught me how to drive the tractor, sometimes with the grain cart on it. I learned to unload a cart full of grain on a truck. With the truck drivers help, I don’t dump it over the side! Being a city girl it didn’t ever take me very long to get to where I was going, because everything was close. Out here it took a while to remember we might have quite a drive to get some place. Sometime after we were married I learned to ask, ‘what time do we need to leave here by so I am ready to go?’ Being ready to go on time makes for a difference of a ‘Sunday Drive’ to our destination or the ‘Indy 500’! Maybe all neighbors are the same, maybe not. I just know that in my neighborhood, when you stop by a neighbor’s house they greet you with a smile, invite you in for a cool drink and commence to visit for a while. And I may only be there to pick up a part, tell them they have cows out, or dropping cookies off for the holiday season. They will come to your rescue when the battery on your vehicle won’t start and even offer you there vehicle just to help you get to your destination. They will share their over abundance of produce from their garden with you and offer you something for sharing yours.